Many people choose to climb Mount Kilimanjaro because it is one of the Seven Summits, the tallest peak in Africa, and the tallest free standing mountain in the world. The other six summits located in Asia, South America, North America, Europe, Oceania, and Antarctica are typically very technical climbs that require a lot of training and preparation. So, How Difficult is Climbing Mount Kilimanjaro? While climbing Kilimanjaro does require a high level of physical endurance and strength – it is attainable for climbers from 12 to 70+ years old. 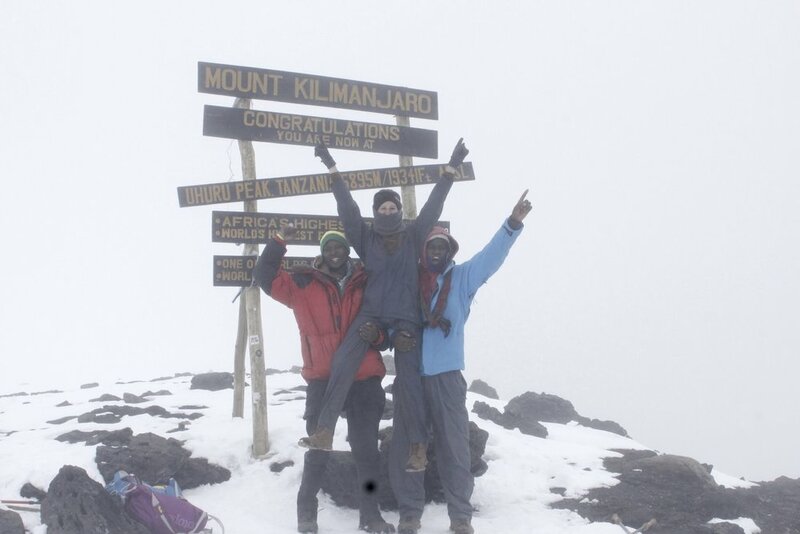 With a few months of Training to Climb Mount Kilimanjaro, you will be prepared to scale the highest summit in Africa. Climb Kilimanjaro Now. I decided to climb Kilimanjaro in May, which is between the low and high season and therefore there was a lot more rain than I ever expected. I packed both a rain jacket and rain pants but still felt wet all the time. The team that accompanies you on the climb (porters, guide, assistant guide, chef, etc..) is there to help you. Whether or not you think you need the extra help, you will rely on your team members with their mountain expertise and equipment – including the tarps that they bring up the mountain to ensure that none of your bags get wet. Although Kilimanjaro is in Africa and is located on the Equator- when you climb close to 20,000 feet, it is cold no matter where you are. When I climbed the mountain, I was not prepared for just how cold it would be. My double pair of socks, extra layer of thermals, fleece top, and warm hat helped – but I wished I had even more layers to keep me warm. It is important to know the best times to climb Kilimanjaro (Jan - March and June - Oct) and pack the right gear for Kilimanjaro so that you can stay warm and dry when the rain & cold comes. Packing the Right Gear for Kilimanjaro is essential when climbing (as noted in the point above). When you are in camp you won’t have any electricity, so it is important to prepare for low light situations. Whether you are camping or staying in the huts, your eating area and bathroom will both be a short walk from where you are sleeping. When it is dark, this can be very difficult if you don’t have a headlamp or other way to light up the path in front of you. In many countries tipping is considered nice, but not necessarily a common practice. When hiking Kilimanjaro, tipping is a bit different. The crew that takes you up the mountain consists of a lead guide, assistant guide, chef, and a team of porters (anywhere from 5-10 depending on your group size). Your Kilimanjaro Guide & Team plays a huge role in the success of your summit, making sure that you take the proper precautions in what you eat, when you sleep, and how much you climb each day. 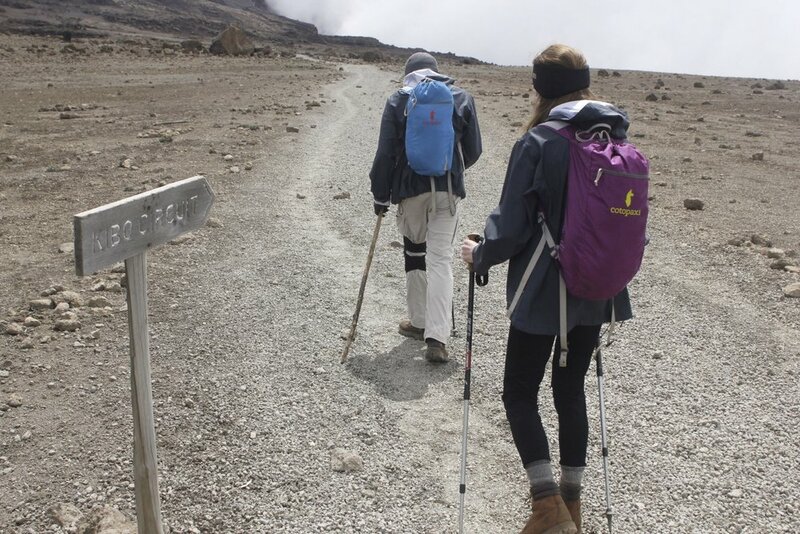 It is common for people to ask, How much do I tip my guide and Porters on Kilimanjaro? Normally, tips include $15-$20 per day for the head guide, $10-$15 per day for the assistant guide & chef, and $5-$10 per day for each porter (a total of roughly $100 per night you are on the mountain*). At the end of your climb your team will gather together for a “tipping ceremony” where they will perform local songs and dances, and provide you with envelopes (or something similar) to tip the team. Tipping Guides and Porters on Kilimanjaro is important, as you are directly helping their families and local communities with your tip. *It is important to note that this tip is per group and not per person. Depending on what Kilimanjaro route you climb, you will be staying in either huts (on the Marangu route) or tents (on every other route). Each morning and evening of my climb I was greeted at the door of my hut (or tent) by one of the porters carrying a small bucket of warm water and a towel. “Time for washy-washy!” This nice gesture to provide me with a bath / shower each morning was greatly appreciated, and I came to look forward to the warm water I could use to clean my face, arms, legs, and any other part of my body that needed some TLC. Most of the mornings and evenings it was quite cold, so I resulted to washing just my face and hands. Diamox is a common medication for altitude sickness or “mountain sickness”. While I am no doctor, I know that this medication greatly helped me during my climb. 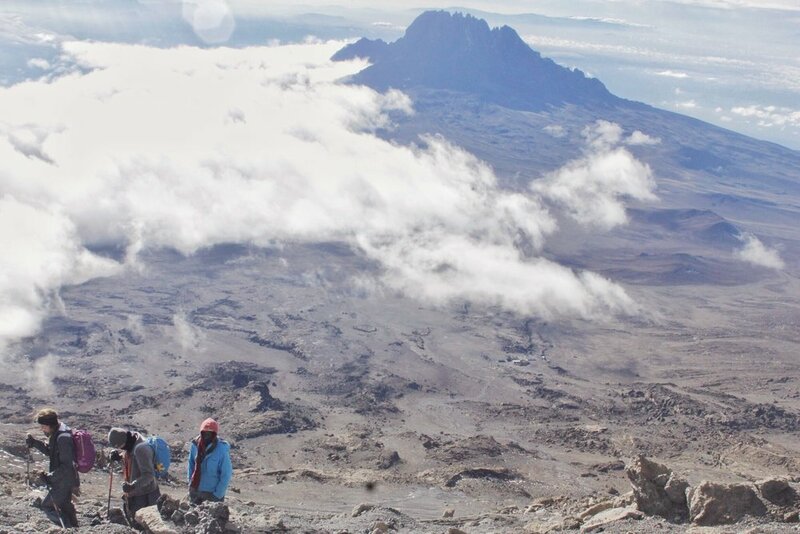 There are many ways to prevent altitude sickness while climbing Kilimanjaro, and being prepared with Diamox was the best thing that I ever did. I started taking Diamox a few days before I climbed and continued taking it throughout the duration of the climb until I came off the mountain. This helped me with the headaches, tiredness, and shortage of breath that so many other people experienced when we hit above 10,000 feet. Make sure to consult your doctor before taking any medication on ways you can prevent altitude sickness while climbing Kilimanjaro. While it was still a physical struggle, I summited the mountain without any signs of altitude sickness. There are seven routes up Kilimanjaro, with the most popular being the Marangu Route, also known as the “Coca-cola Route” or the “Whiskey Route”. The Marangu route is the only route with mountain huts, and allows you to climb the mountain in the shortest number of days. 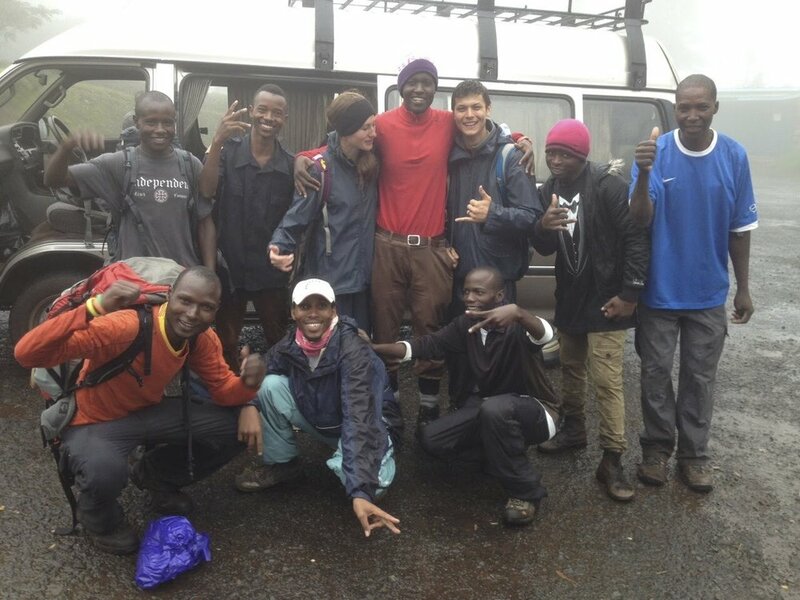 If you are in for a little adventure, you can take the Machame Route, a longer camping climb that follows the rim of the volcano with spectacular views – or alternatively there are 5 additional camping routes that you can choose from (but in my opinion, none of them are as scenic as the Machame Camping Route). I made my decision to climb the Marangu Route based on many factors, including the highest Success Rate of Kilimanjaro Routes. If you prepare well for the mountain, the mountain will welcome you, and you will make it to the summit. See our full itinerary for climbing Kilimanjaro's Marangu Route. The local language in Tanzania is Swahili, the same language that you might have learned when you were a child watching the Lion King. Learning to speak some of the local Swahili language goes a long way in making friends with your climbing crew. It doesn’t take much to learn, here are a few of the words that I found the most useful / fun while climbing the mountain! Asante Sana – Thank you! Mambo – How are you! 10) Summit Day is Brutal – But Worth It! The first few days climbing Kilimanjaro are long, but not too difficult. The terrain changes constantly from straight flats to uphill climbs, and even some downhill. Another unique aspect of climbing Kilimanjaro is that you go through 5 different climatic Zones – Savannah & Jungle, Alpine Forest, Heather & Moorland, Highland Desert, and lastly – Arctic Tundra. The first three climatic zones are beautiful, scenic, and not as difficult as the last two. When you reach the Highland Desert you are at 15,000 feet, and that is when the climb gets more difficult. The air is thinner, colder, and the terrain is steeper. On the last day of the climb your team will wake up around midnight to prepare to traverse up the side of the volcano, making it in time for sunrise at Gilman’s peak (4-6 hour climb). I remember taking my summit night one step at a time, and in between each step was a much needed gasp for air. Before I knew it I made it to both Gilman’s and Uhuru’s Peak (Uhuru is the highest peak on Kilimanjaro)! Having a successful experience & summit on Kilimanjaro is very possible and comes down to three things: Training for Mount Kilimanjaro, Packing the right Gear for Kilimanjaro, and trusting in your climbing crew. Bonus: Do a Safari after you finish your climb, as it is one of the best ways to rest and relax your muscles after an intense week of hiking. We recommend a Tanzania Safari to Serengeti National Park and Ngorongoro Crater. Newer PostHow much to tip Guides & Porters on Kilimanjaro?